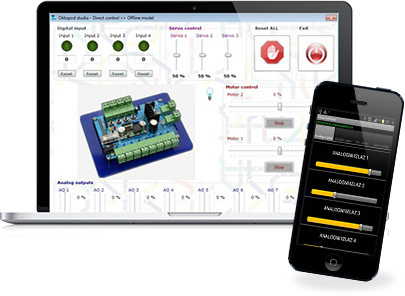 We designed Oktopod Studio to be as user friendly as possible, which features plug-and-play analog outputs, digital inputs, DC and Servo motor drivers and a graphical user interface for PC and Andriod devices. Using Oktopod Studio you don't need to be a programmer or an electronic expert to make your own robotic projects! The connection between these two parts can be established through Bluetooth or USB. 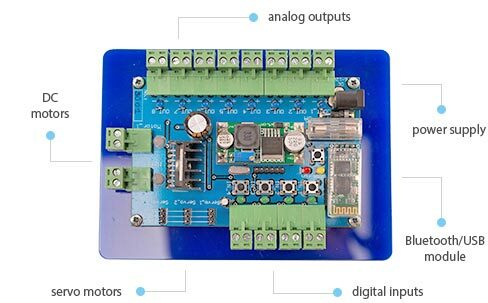 HARDWARE: Oktopod_Board presents a Programmable Logic Controller (PLC), which features plug and play inputs and outputs for connecting low voltage electronic devices, like: LED lights, DC & servo motors, electromagnets, switches, photo-, thermo- and magnetic sensors, and so on. 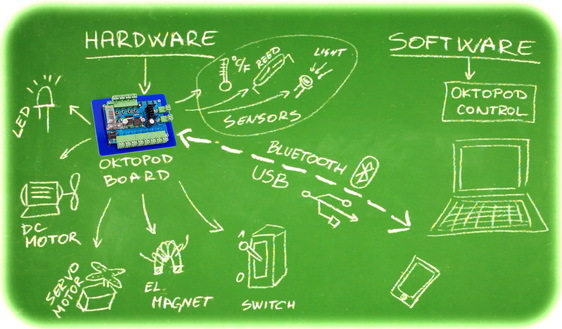 SOFTWARE: Oktopod_Control allows manual control or programming the board. There are PC and Android versions of the application, which both are open source! Programming the board is enabled by creating so called “WishList”. This presents a unique way of programming which you can get the hang of in just five minutes. When the board is connected, you just need to set the desired output actions, using the virtual dashboard, and add them to your WishList. When all of the actions are added to your list, just DOWNLOAD or click PLAY, and watch what happens! What can you connect to the board? ...and any other sensos with digital output! What do you need for using Oktopod Studio platform? Oktopod studio is not a standard construction kit which includes predefined parts for building models. 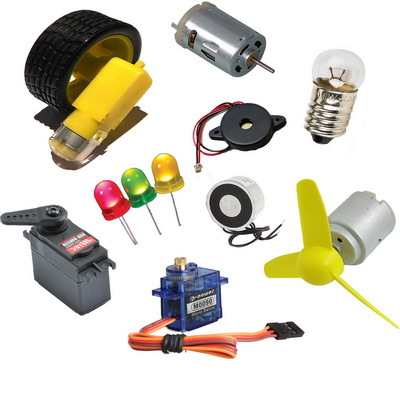 It provides a control system for your own creations, that can be built from whichever parts you can think of (bike lights, old printer motors, CD players, to name a few). No worries if you get stuck, we are here to help you! 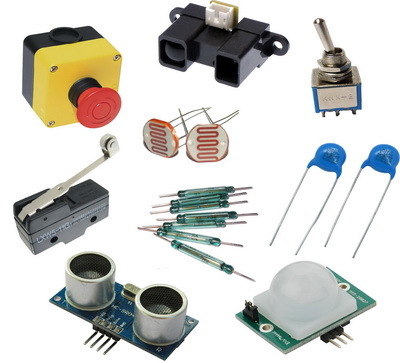 Basic tools, like screwdrivers , pliers, insulating tape, soldering gun, hot glue gun, etc.